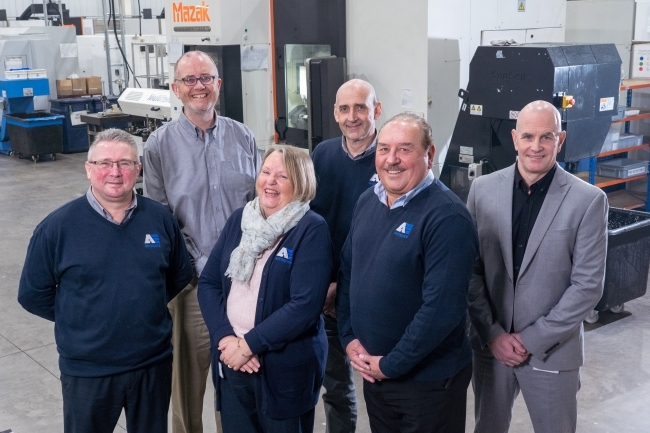 Award-winning manufacturer, AE Aerospace, has moved to a larger factory to accommodate the company’s rapid growth and keep pace with customer demand. The Birmingham-based company received the keys for its new 16,500 sq ft factory in September 2018 and had production at its new facility up and running by the start of December. AE Aerospace delivers a range of precision engineering solutions to customers including Rolls Royce, UTC / UTAS, Collins Aerospace, Goodrich, Siemens & Moog, with products being used on Airbus, Boeing and Bombardier aircraft. AE Aerospace has already committed to creating 20 additional jobs since its move, and by the end of the year the site will employ 70 people. With four times the capacity of its previous Dymoke Street premises, the new factory will accommodate an ambitious expansion programme, which has been supported by a £1.75 million funding package from Lloyds Bank. 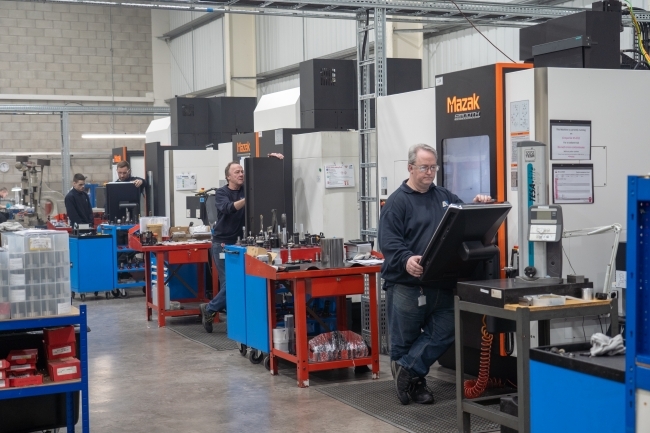 A £1,000,000 asset finance facility has also allowed AE Aerospace to purchase four new Mazak 5-Axis machines, which means the business can significantly reduce lead times for its customers and increase capacity by 50%. The company plans to double its turnover by the end of 2020. The investment helps AE Aerospace exploit growing customer demand for its components in a buoyant aerospace market, and provides the foundations to deliver on its vision to become a fully servitized business. The manufacturer’s long-term strategy has been to become a ‘glass factory’, which means that customers will have access to a fully-servitized model of machining by the hour. Customer Focused Cells are now up and running and during 2019, the business will implement its automated Capacity Planning and Production Scheduling System, enabling staff to identify bottlenecks and areas for improvement. The team can then venture on the third and final stage of the servitization journey. AE Aerospace’s customer cells and new ERP system will be rolled out through a new web-based portal, providing dashboard dedicated customer account teams. Customers will also be able to change running orders as and when they choose. The factory move marks a new chapter for the business which was crowned Manufacturer of the Year at the Insider Made In The Midlands Awards 2018. It allows the manufacturer to implement its business plan and continue to secure success by investing in people, plant and process.